Back in January I wrote a blog post about my 11 Social Media Predictions for 2011. Number 1 on my list was Mobile. Now five months into the year, it is becoming increasingly apparent that 2011 is truly the year of mobile. In fact, we have already begun to see the shift. In Q4 of 2010, there were 101 million smart phones sold, compared to 94 million PCs. Furthermore, the Mobile Marketing Association predicts that 85% of phones sold in 2011 will be smart phones. Not only are we seeing a spike in smart phone and tablet sales, but also an astounding increase in the variety of ways that people are using them as well as how marketers are leveraging this trend. Now, when talking mobile I want to look at the trends within the trend. 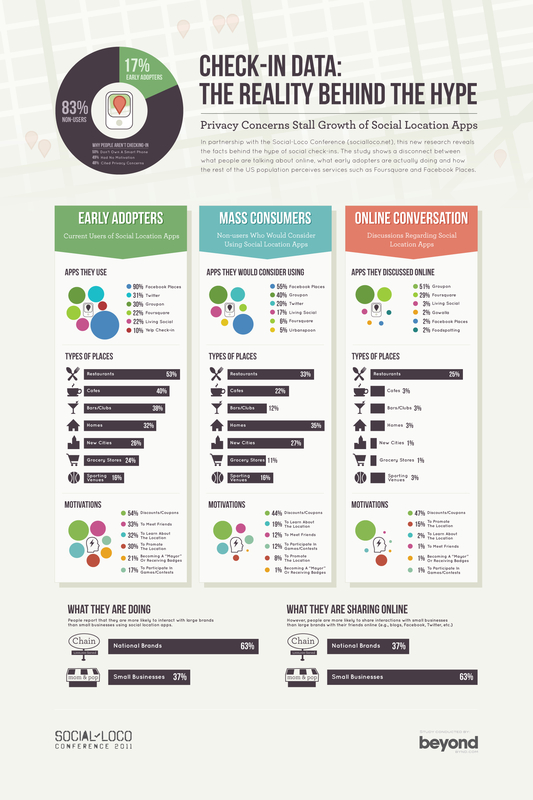 There are several elements to mobile that are making it a powerhouse in 2011. Here are my top mobile trends for 2011. As always, Social is driving a lot of the success mobile technology is enjoying – most notably with Facebook and Twitter (surprise, surprise) Have you been noticing more and more updates on your Facebook or Twitter newsfeed are from mobile devices? We are seeing a huge increase in the amount of people using Social Media from their mobile devices whether it be at work, on the bus, or even in the house. In fact, 25% of activity on Facebook is from a mobile device. As Facebook Deals and Places begin to take shape, expect that number to increase. That brings us into our next section where we see an overlap with Social – Location Based Services. There has been a lot of talk about Location Based Services over the past year. Foursquare established themselves as the early top dog over SCVNGR and Gowalla. But once Facebook entered the game with Places they have since lost their number one spot. However, only 17% of the mobile population uses these services – 90% of which cite Facebook Places as their go to location based application. In a study conducted by digital agency Beyond the driving reason behind mobile users not checking in was privacy concerns. On the flip side, those early adopters who are checking in cited discounts and deals as their main motivator. While this trend is still clearly a niche, as mobile sales continue to skyrocket location based services are positioned to make a lot of noise – in fact Fourqsuare experienced 3400% growth in 2010 alone. Not only that, but businesses are faced with an immense opportunity to capitalize on mobile checkins – most notably restaurants, cafés and bars. QR codes, or Quick Response codes, are square matrix barcodes that are readable by specific barcode readers, and now mobile phones. QR codes may seem new, but they have been around for almost 20 years. Back in the mid-1990’s Toyota used QR codes to track their inventory.In the second half of 2010 we saw a 1200% increase in the amount of North American’s scanning QR codes. Today, QR codes give marketers an excellent opportunity to provide their audience with more information that will hopefully lead to a conversion. Often times QR are found on print ads, posters, product packaging, billboards, business cards, etc. When scanned with a mobile device, QR codes often bring a user to a specific URL. To help you understand more, here are three examples of real life QR codes that I have seen – two of which were great, and one that failed. Last week I saw a movie poster that had a QR code in the bottom right corner. So I took out my iPhone and scanned the code. Just like that, my web browser opened and began playing the trailer for that movie on my phone. Incredible. Another well-documented case of successful QR code use was by rapper Lupe Fiasco to promote his highly anticipated 3rd album Lasers. Fiasco placed QR codes in music magazines, on his website and most notably projected a giant QR code on a wall in Union Square in downtown San Francisco. Look at the hype and buzz it created. Have you ever seen crowds of people run to go look at your ads? If you decide to leverage QR codes, develop a strategy first. Make sure you are not wasting your time, effort and money on creating ads with QR codes that do not work. When I was in Toronto a few weeks ago, I couldn’t help but notice that at least 25% of the ads in the Subway car on the TTC had QR codes. “Cool” I thought, “these marketers are really jumping on this QR codes trend.” So I got out of my seat, and scanned a code – this particular one was for a local University. Guess what – it didn’t work. Why? Because I was on the Subway – underground. I had no Internet connection. I went on to scan the rest, none of which worked, for obvious reasons. This is a typical case of jumping on a marketing trend without stopping to think about it first. While it is believed QR codes will greatly increase in popularity in 2011, they are still very much of a niche in North America. The main driving forces behind the use of QR codes will be educating the consumer on what they are and how to scan them, increased mobile device sales and greater QR code exposure by marketers. We have already seen Mobile Display Ads make huge moves in 2010, and it is expected to continue through 2011. Forrester estimates that mobile display ads will exceed $1 billion in 2011. As more companies begin to market to consumers using mobile display ads, they will also need to optimize their websites for mobile as well. As of January 2011, Google was the king of mobile display ads with an ad revenue market share of over 90%. Furthermore, spending on mobile display ads by marketers is expected to rise by 5-10% in 2011. Mobile display ads, as with traditional display ads, will continue to succeed based on their efficient pricing model, personal targeting, and measurable ROI. While some businesses have already begun adopting mobile payments, this technology is still very much in the early stages. Most notably, Starbucks released the Starbucks Card Mobile App available on the iPhone, Android and Blackeberry in the United States. The App acts as a mobile gift card allowing you to pay for your coffee by scanning a barcode on your phone. Many industry experts believe that this trend will continue and within a few years, ATM and credit cards may be obsolete for those early adopters. Again, this trend has the potential to be hindered by those concerned with privacy issues, as noted in the video. Applications are huge – there’s no denying that. They are the focal selling point for the iPhone – just watch any one of their TV commercials – they all talk about the Apps and the App Store. In 2011, it is expected that App sales will continue to rise, however Apps per smart phone user will decline. Why? Now that smartphones are becoming more affordable, it is expected that more less-tech savvy individuals will be purchasing smartphones – and those people will be less inclined to download apps. However it is expected that application downloads will exceed 17 billion downloads in 2011 resulting in sales of over $15 billion worldwide – a 117% increase from 2010. As these mobile trends continue to gain traction with users, Mobile will inevitably grow. 2011 is the year of Mobile. Do you own a smart phone, tablet or eReader? Have you used any of these tools on your device? We’d love to hear about you experiences!